The Lincoln Renaissance Windband (as it was then) was started in 2003 by Lincoln musicians Helen Mason and Richard Still - both performers of early music, and closely connected with the Lincoln Early Music Festival. There had been a few "one-off" workshops for players of capped reeds between 2001 and 2003, and there seemed to be a desire for participants to meet more regularly with a view to developing musical ability in terms of crumhorns and similar instruments. The first meeting of the Windband was in August 2003, as a part of the 8th Early Music Festival. After a one day workshop and a few days to draw breath, the band gave its first public performance at the Festival's Tudor picnic. Helen Mason and Richard Still jointly led and instructed us from August 2003 until July 2006. Helen and Richard had the vision, expertise and enthusiasm, to found the band, and to see it develop through these early years. We owe a debt of gratitude to them both for the hours and energy that they have committed to the Band. 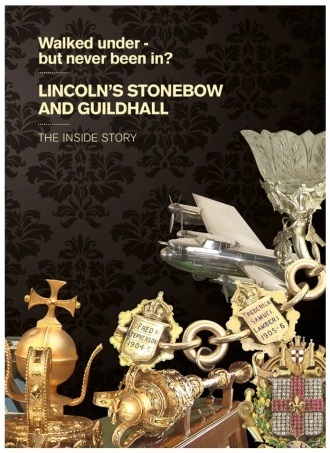 Richard was also a founder and director of the Lincoln Early Music Festival for some years. Helen is the festival's current Director. Since 2006 the band has gone from strength to strength. Sadly for the Band Helen and Richard both had to resign due to work commitments, but this enabled the Band to welcome Kathleen Berg and Richard Lindsay to be the new Musical Directors. The Band also has annual visits from Jamie Savan for a workshop. We originally only played recorders. Since those early days, the range of music tackled, the skills of the musicians and types of instruments played have all increased. Instruments now played include crumhorns, cornamusen, sackbut, hurdy-gurdy, rauchspfeiffen, cornetti, lizard and viols. We would be delighted for players of other suitable instruments to join with us as well.